I don’t mean rocking back and forth in a corner muttering to yourself, that’s slightly kooky… I mean are you aware of your own voice in your head? The one that observes every tiny detail in everything you do, the one that plays out home movies, and paints fantastical daydreams… the one that delivers a running commentary on EVERYTHING without invitation. Our inner monologue is often depicted in cartoons by the little angel and devil sat on the shoulders of the unsuspecting protagonist. Are you friends with yourself? Are you and this voice BFF’s? Does this voice look after you? Are you even aware of this voice dictating your life? Do you have control of it? The mind is a dangerously powerful tool. For those who have dabbled in psychology and the research of Freud you may be familiar with the id, ego and super-ego. Whether you subscribe to these notions or not, the presence of inner voices, or energies, is undeniable. Even if the suggestions made so far surprise you… do you hear a voice reading the words on the screen to you? This is who I’m talking about. And it’s this person, or voice, that can lead us down the path of self-destruction or self-elevation. It is a tool to be harnessed, leveraged, and controlled… not ignored or dismissed (unless you’re dismissing utter nonsense and damaging thoughts in which case, by all means, dismiss away). I don’t want to confuse mind chatter with our ‘inner voice’ or ‘intuition’ here. The two are very different. Our intuition is sent to guide and serve us; it would never lead us astray. Mind chatter, however, can lead us to form opinions and judgements that aren’t in line with our authentic selves, and as such, steer us off course. 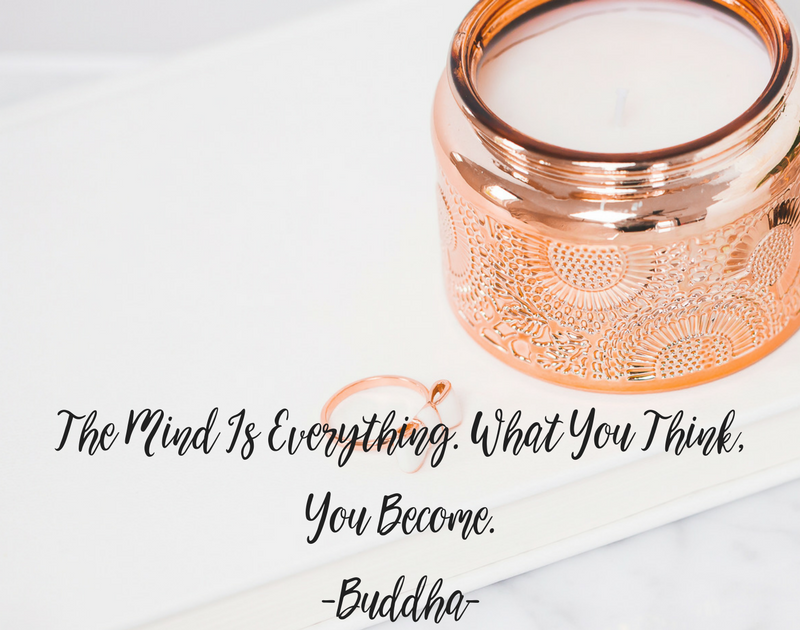 Even more frightening is that this mind chatter can form the basis for our beliefs and core values, hence the advice from Buddha, ‘what you think you become’. So what do you think? Who have you become? And who do you want to become? Is it possible to bend reality with our thoughts? And more specifically our mind chatter? Some experts would certainly think so. Affirmations are one thing, but control of mind chatter is certainly another. If you’ve read some of my other postings you will be familiar with my position on the Law of Attraction, manifestation, and the power of our universe. Affirmations are certainly a key tool in manifesting the life we so desire. Affirmations, can however, be undone, by negative mind chatter, especially if we aren’t aware of what’s going on in our own thoughts on a minute by minute basis. Is the Law Of Attraction not working for you? Are your affirmations not bearing fruit? Perhaps it’s time to have a conversation with yourself. Perhaps it’s time to shut down any self-sabotage. When I first became aware of my mind chatter, my inner monologue, I would bore myself silly. In fact I was so boring I could send myself to sleep. Then when I transitioned to the observational state of just watching these thoughts, I’d crack myself up… I would think and ‘chat’ the most ridiculous things! I noticed EVERYTHING apart from the things that needed to be noticed, and I kept ruining things for myself. It’s a bit like having a friend who talks ALL the way through the movie… annoying, disruptive, and exhausting. Seriously, shut the hell up. It got irritating; until I was introduced to the ‘dimmer’ switch by Jeffrey Allen. Jeffrey taught me that I could turn these thoughts down to a barely audible hum, just as you would turn the lights down before bed. In practice it wasn’t as easy. I could turn the dimmer switch down for a few minutes at a time, but then as my mind wandered, I’d suddenly realise the commentary was on full blast again. Like a small child who won’t go to sleep and keeps screaming… tiresome and demanding, and yet the sense of responsibility to pay attention, and pacify the screams, is consuming. As with anything, it takes time; and practice makes perfect. As a child learns and develops, and eventually sleeps through the night, so can we give ourselves a bit of peace and restfulness in our mind. Out with the mind chatter… in with the affirmation and inspirational pep talks. The mind is too powerful a tool to be discarded. It’s often the one thing people go their whole adult lives without mastering. We prefer instead to master golf, academics, the application of perfect make-up, the pursuit of a career promotion, material possessions, the ‘one’… the list is endless. Money being the most coveted ‘tool’ of course. Why not try mastering your mind instead? In doing so surely we would stand ourselves in better stead for the acquisition of our desires. Without negative, misguided, and misleading thoughts to counteract our positive energies (invested in whichever project it may be), results can be attained much quicker.